We have an exciting, challenging, and stimulating year ahead of us. 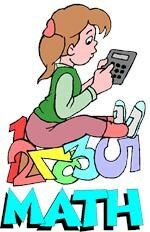 In 7th grade math we will explore number sense, algebra, geometry and more. Students will participate in activities planned to help them master the concepts we investigate. Please ask your student about their daily experiences. Studies show that parental involvement in a child’s education is one of the strongest indicators of student achievement. We will be using Blendspace for students to navigate through each unit.